The law library just learned about an online resource available through LawHelpCA.org that assists people with consumer credit issues. 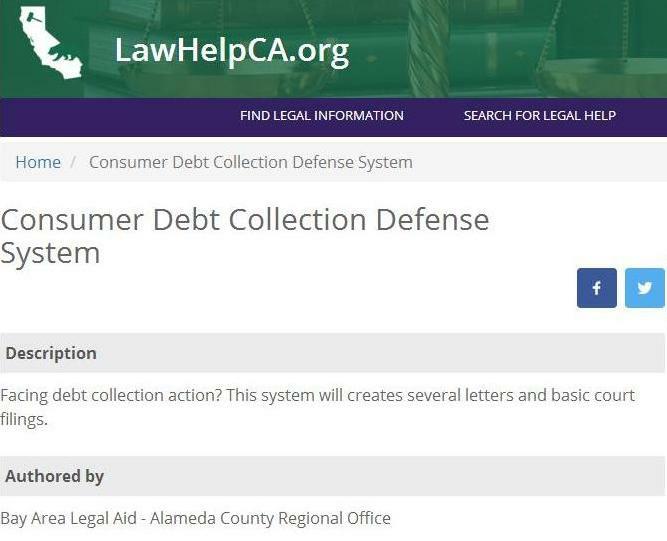 Called the Interactive Debt Collection Defense System, it can walk you through the process of responding to basic civil filings if you are sued, or help write cease and desist letters. The program asks you questions, and fills out the forms based off your answers. To try this free online resource, click here.